Stock due mid April, pre-order to reserve yours now! Zero Gravity are proud to introduce the Ultima 4 Trampoline. The Ultima 4 is a great value trampoline manufactured using excellent materials and built by a company who have decades of experience in designing and building trampolines. All Zero Gravity Ultima 4 trampolines feature a state of the art safety enclosure. The netting is sited directly on the edge of the jumping surface and supported by arced uprights which improve safety in the event of a fall, whilst a wired top ring retains the shape and structure of the netting. 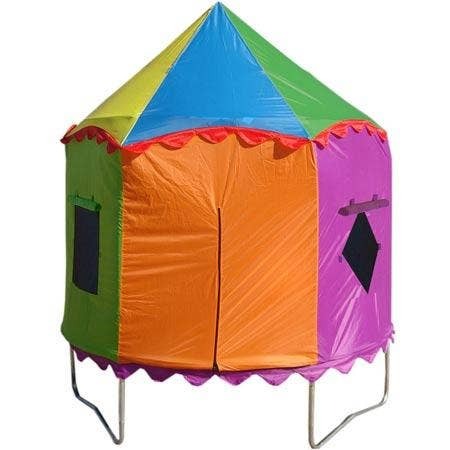 The enclosure also features a quick release system so that it can be taken down in minutes, this reduces wind hazards and is ideal for preventing unsupervised play. 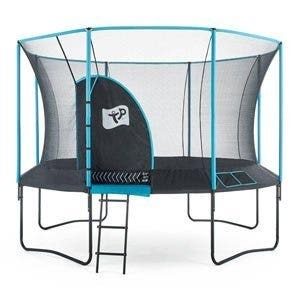 The jumping area of the trampoline is made using a material called Permatron as it is durable under uv light and provides a smooth and flexible yet firm jumping surface for anyone using the trampoline to enjoy. The safety padding's top surface is made from PVC rather than cheaper, inferior PE giving a quality look and feel that unlike PE will not disintegrate under UV light. Safety is of the highest importance so inside the padding you'll find 20mm thick EPE foam protecting your child against the steel frame. Even before gaining EN71 certification this trampoline went through extensive testing at the Zero Gravity testing lab. Including 500KG user weight testing and cycle testing. While a welded trampoline frame will typically crack at 1 million cycles, this trampoline has gone through over 2.5 million cycles without cracking. Customer service is key to Zero Gravity Trampolines success. 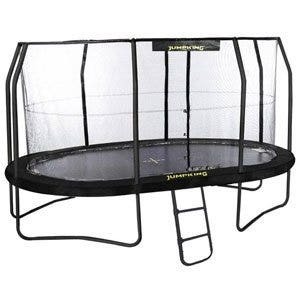 Although we believe the assembly guide supplied with this trampoline is one of the best available, should you have any questions while building your trampoline please feel free to call the Zero Gravity support line (01264 771247) and one of their knowledgable staff will be happy to help. Upon delivery, the 10ft Trampoline and enclosure will arrive in 2 separate boxes. The first box has dimensions of 120.02 x 48.26 x 14.61cms while the second box is 121.92 x 48.26 x 12.07cms. Trampolines are tremendous fun for all the family and encourage children of all ages to play together. They are super conditioners that build strength, stamina, confidence and co-ordination. The round design encourages the jumper to stay in the centre to enjoy a deep, lively bounce. 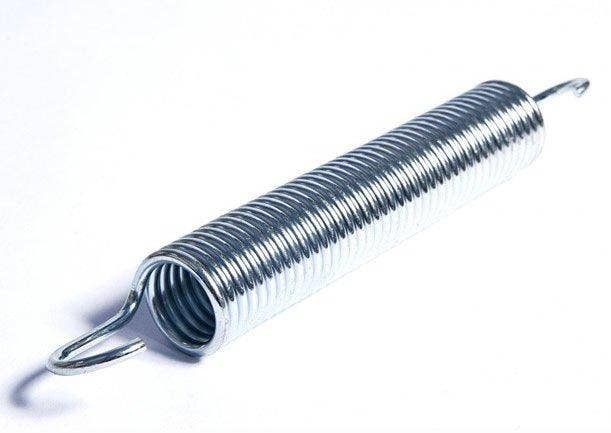 They can be left outside all year round and will give years of trouble-free enjoyment. For over 10 years Zero Gravity has been synonymous with high specification, quality trampolines. 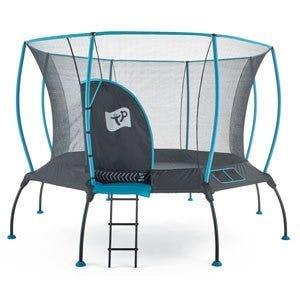 During this time they have shied away from the cheaper end of the market as it was impossible to produce a safe high performance trampoline at such a low price. Technology has changed however and with Zero Gravity's patented weldless frame trampolines they can now offer their trampolines to a wider market without compromising quality and safety. 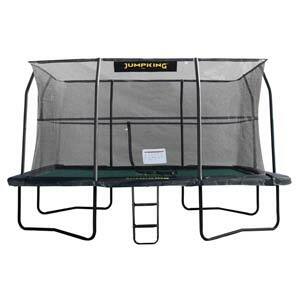 All Zero Gravity Ultima 4 trampolines feature a state of the art safety enclosure. The netting is sited directly on the edge of the jumping surface supported by arced uprights to improve safety in the event of a fall, whilst a wired top ring retains the shape and structure of the netting. The enclosure also features a quick release system so that it can be taken down in minutes, this reduces wind hazards and is ideal for preventing unsupervised play. The safety padding's top surface is made from PVC rather than cheaper, inferior PE giving a quality look and feel that unlike PE will not disintegrate under UV light. Safety is of the upmost importance so inside the padding you'll find 20mm thick EPE foam protecting your child against the steel frame. Even before gaining EN71 certification this trampoline went through extensive testing at the Zero Gravity testing laboratory including 500KG user weight testing and cycle testing. It is interesting and impressive to note that while a welded trampolines frame will typically crack at 1 million cycles this trampoline has gone through over 2.5 million cycles without cracking. Customer service is key to Zero Gravity Trampolines success. 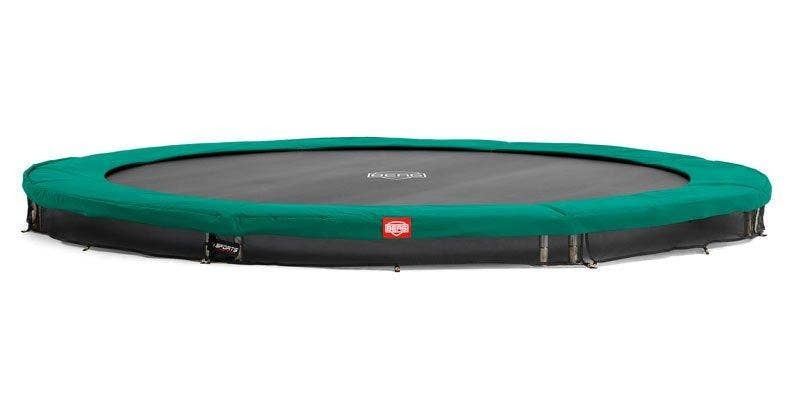 Although we believe the assembly guide supplied with this trampoline is one of the best available, should you have any questions while building your trampoline please feel free to call the Zero Gravity support line (01264 771247) and one of their knowledgable staff will be pleased to help. Prior to the launch of the Ultima 4 trampoline, the Ultima 3 was a popular, higher specification trampoline. The Ultima 3 is no longer manufacturered but we do have some spares still on our website. Please note that due to the differences in the specifications of the two trampolines, spares for the Ultima 3 are not compatible with the Ultima 4, and vice versa. FREE DELIVERY - This item is despatched free of charge on a 2 working day service to England, Wales and parts of Scotland. Orders placed before noon will be despatched the same day.